1. An energy activation enzyme that can reduce 60-70% DNA aging. 2. Improve skin radiance instantly especially for tired skin. 3. 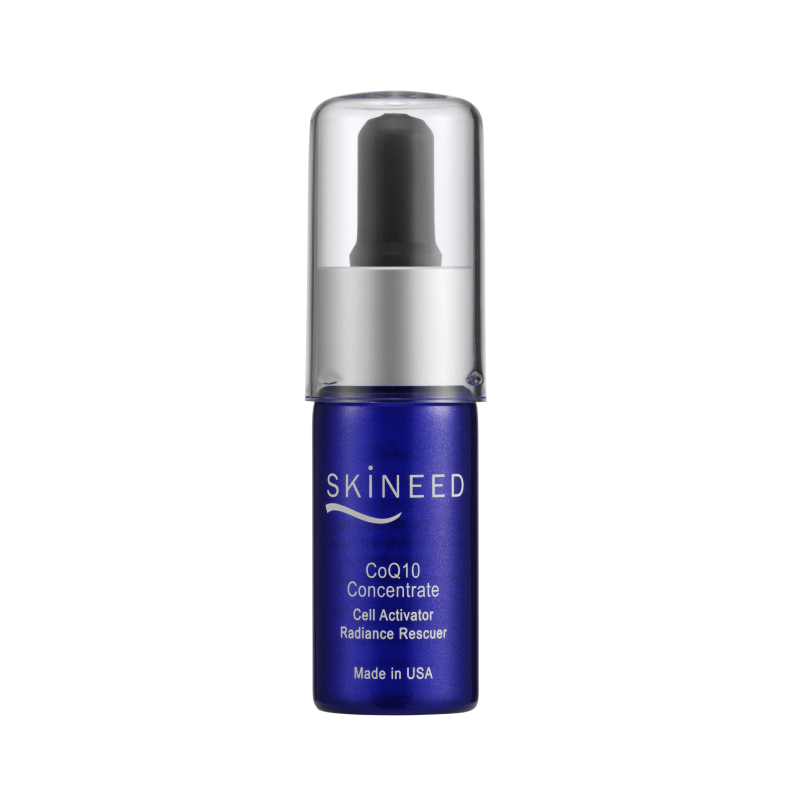 Increase hyaluronic acid level in dermal layer, reducing appearance of wrinkles. Dull, dehydrated, mature, aging skin. Coenzyme Q10 (1% concentration) – A vitamin-like, fat-soluble substance present in all human cells, it is essential in cell energy production and protection. It protects skin against damage due to sun exposure and prevents the breakdown of collagen. PEG (polyethylene glycol) – Helps deliver other ingredients deeper into skin. Oleic acid derivatives – An essential fatty acid found in animal and vegetable oils that helps restore normal skin barrier function. Ubiquinone (Coenzyme Q10), PEG (polyethylene glycol), Oleic acid derivatives. Mix 2-3 drops with Skin Oasis gel and smooth evenly onto face and neck or apply directly onto wrinkles for enhanced results. Follow with peptide cream for intensified skin smoothness and wrinkles reduction. Tips: Add 1-2 drops to liquid foundation for a long-lasting wear.